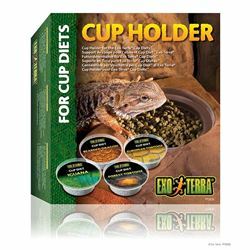 The Exo Terra Food Cup Holder is for use with all Exo Terra Juvenile and Adult Cup Diet foods. 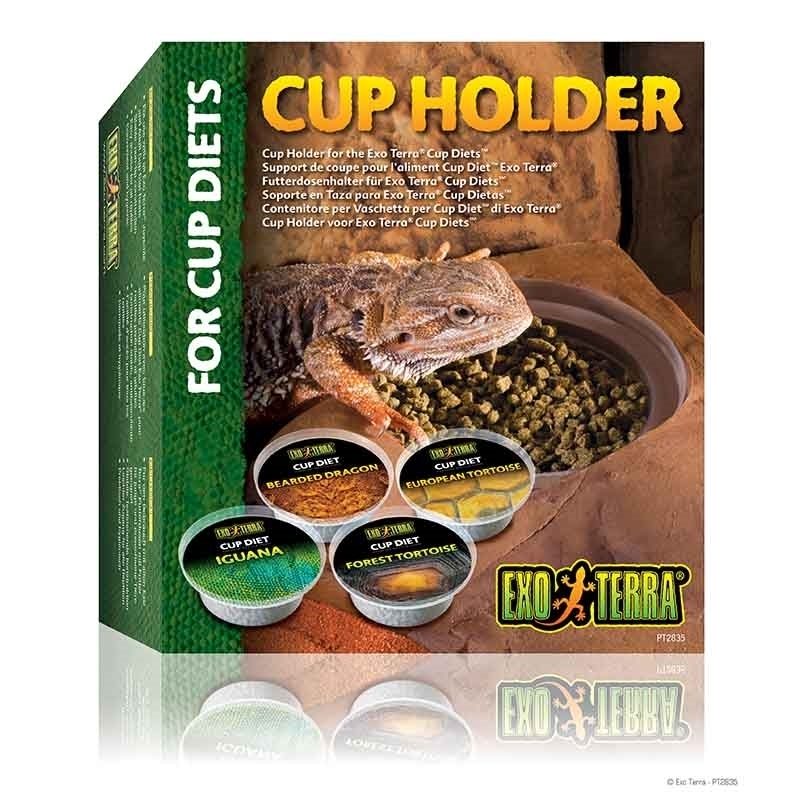 Place the holder in the front corner of the terrarium, peel the top off of an Exo Terra Cup Diet and place it in the holder (front corner placement is recommended as food is less likely to be spilled or crawled through by the reptile). Once the food has been eaten, simply remove and dispose of the cup. The food cup holder’s natural-looking earth-tones allow it to blend in with any terrarium setting, and its solid construction prevents tipping or movement.